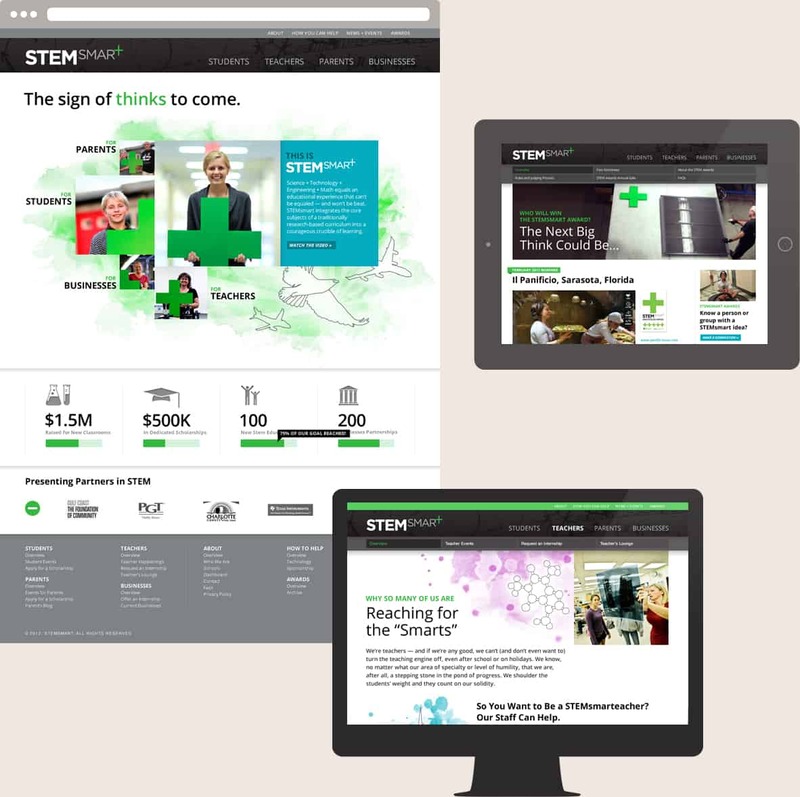 STEMSmart is a hands-on method of teaching integrated Science, Technology, Engineering and Math to students of all ages. This Gulf Coast Community Foundation project needed a website that would reflect its special approach to education. The result was a design alive with creativity and interactivity as it presented the mission and facets of the organization. Hand-drawn illustrations and a bright palette emphasized the energy and inspiration that students discover through STEM learning.